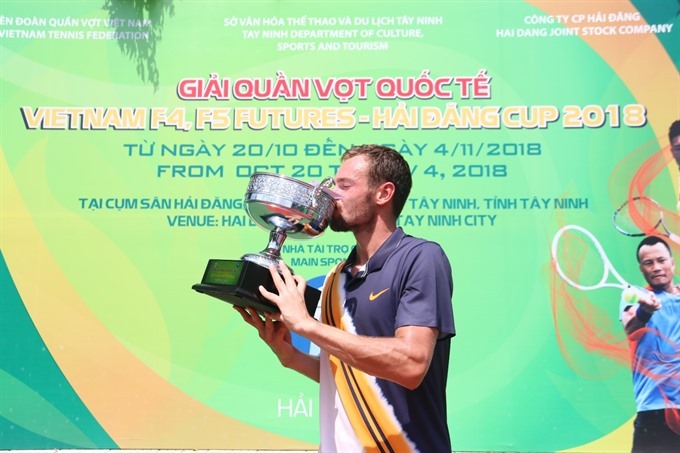 HÀ NỘI — Russian tennis player Roman Safiullin won the Việt Nam F5 Futures – Hải Đăng Cup 2018, on Sunday at southern Tây Ninh Province. First seed Safiullin beat top Vietnamese player Lý Hoàng Nam in the first set of men’s singles with tie-breaks at 7-5. In the second set, Safiullin ended the match with an impressive 6-4 win. The Russian player made it a double victory by winning at both Men’s Futures F4 and F5, taking home a cool $25,000 in prize money.